How do I quantify my social media campaigns? How do I use social media successfully without spending too much money? How do I find time to post everything I need to post? Nobody becomes a social media expert overnight. And the good news is that you don’t have to be a “techie” to use social media effectively. It’s as easy as snapping a photo and posting it from your phone…and it only needs to take a few minutes every day. You might have heard that in order for your social media campaign to work, you need to post constantly and across many platforms. While that is one way to do it, you don’t have to spend hours on your computer to be a success at social media. You can post from your phone, your tablet or your computer whenever you have a few free moments. It takes just a few seconds to post a picture from your phone, or to update your status or to reply to a customer. The best thing you can do is simply set aside ten minutes every day, or every other day to update your social media platforms. That’s all it takes. Chances are you’ve already scheduled other important to-do items in your day, add this to your list and stay consistent. Ten minutes out of your day is more than enough time and can have spectacular results. 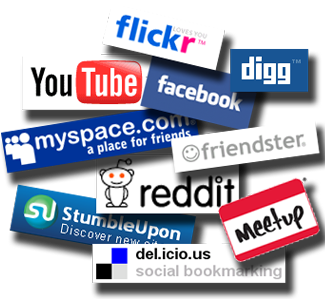 With the advent of technology, it can be confusing when trying to figure out which social media platforms to use. There are literally hundreds of options, including LinkedIn, Tumblr, Pinterest, Digg, Facebook and Twitter, not to mention the various Google platforms. Find two or three that you are comfortable with and figure out how to use them effectively. If you only use Facebook and Twitter, then learn how to use them well. The same holds true for if you only use LinkedIn and Tumblr. Don’t let yourself get overwhelmed. Find the two or three that you feel you can use quickly and effectively and stick with them. At some point in the future, you can expand if you’re comfortable in doing so. The biggest mistake businesses make when using social media is sharing poor content. Remember, we are a visual society, so use photos and videos whenever possible. More important than that, though, is how you present your content. Give your customers a call to action with your posts. Offer deals, ask questions, start conversations. The biggest impact your efforts will have is in being interactive with your friends and followers. If you offer a special, or post a deal, give it a time limit and then track the sales that are a direct result of your posts. This is an easy way to quantify your efforts. This is a great way to not only attract new customers, but to build brand loyalty as well. Plus, if you regularly post specials or deals, word of mouth will help you grow your friends and followers list. Social media is a great way to connect to customers and potential customers. 1. Set aside ten minutes every day or every other day to update your social media posts. 5. Start conversations and offer deals or specials to your friends and followers and encourage them to help spread your posts. The final tip is to be patient. You won’t just start posting on Facebook and suddenly find hundreds of new customers banging on your door. It takes time to build a community of customers, friends and followers. But if you’re consistent, you’ll grow your social media circle and, in turn, your customer base will grow as well. Social media does work and in today’s market, chances are if you’re not using social media, you’re not reaching the full potential of your business.